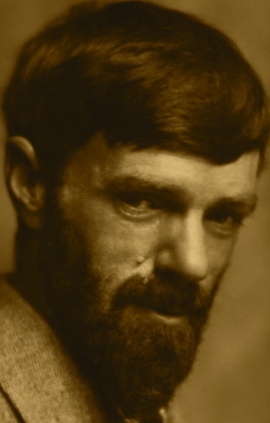 A Year of Being Here: D. H. Lawrence: "Mystic"
"Mystic" by D. H. Lawrence. Text as published in D. H. Lawrence: Complete Poems (Penguin Twentieth-Century Classics, 1994). Art credit: Detail of "Pig Eating Apples In Barnyard Blue Sky," photograph by Lynn M. Stone/KimballStock.